Cheaper Car Hire at Bangkok Suvarnabhumi Airport (BKK) - Compare CRV, SUV & Minibus lower cost rental in Bangkok. 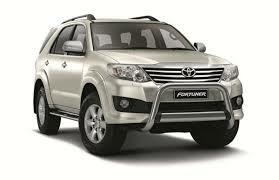 Compare cheaper car hire at Bangkok Suvarnabhumi International Airport. 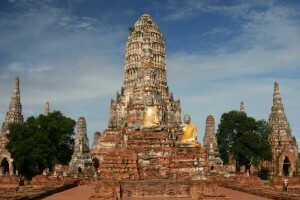 You can book through us, Thailand specialists, as we also offer SUV, MPV and minibuses to seat either ten or twelve people. Cars can also be collected from downtown Bangkok depots or have delivered/collected to your Thai hotel, home or villa. We have discounted rated from the following rental companies:-Budget, Hertz, Sixt, Avis & National and Thai Rent, who all have desks in the main arrivals hall, on the 2nd Floor, B, between gates 7 & 8. Wearing of seat belts by all passengers, even in back of car is now compulsory, and fines should apply. However, you are okay if in the back of taxi that has no seat belts. All rental cars come with unlimited mileage.Zero Excess cover is also available, as either included, or as an optional extra. Look for the green no excess logo. Multi-lingual Sat Nav and other extras, including child seats, may be added when you book, or later. Some of the many cars on offer include the Toyota Pickup and Double Cab, These are only offered by Budget, and all now have the carryboy back cover, so no open-back pickups available, due insurance and damage reasons. Popular small cars, include the Mirage, Yaris and Almera. The compact sizes have the Honda Jazz, City, Vios, Altis and Civic range, before moving up tp the larger Camry and Accord. Then there are the larger SUV and MPV, where you choose from Toyota Fortuner, Mitsubishi Pajero, Honda CRV, Toyota Innova and Toyota Hiace. 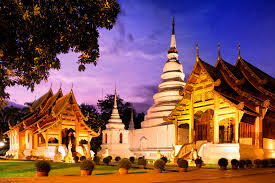 Renting a self drive car, at either of the Bangkok Airport, is recommended and will enable you to not only see all the sites in your own time, but you can also make your holiday a multi-centre holiday, by for example, spending a few nights in near by Hua Hin on your way to Phuket. If not arriving by plane, or prefer not to drive straight away, after a long flight, then you can have your automobile delivered to hotel. Alternatively, go to a depot in Bangkok. Get a cheaper 4x4 Double cab to seat five. Compare cheaper vehicle prices in Bangkok & both airports. Best book early for SUV & minibuses in Bangkok. The airport goes by the name of Suvarnabhumi, (which is pronounced Sue-wanna-poom), or as close as you can get. Don Mueang is the other airport for budget carriers like Nok Air and Air Asia. Thai Rent have the nearest depot to the airport. In fact, you will probably pass it on your way into the airport. It is a large building, right next to the up ramp, as you come off Motorway 9. Stay on the left, and double back on yourself. As you emerge from the arrivals hall, smart looking staff will encourage you to get a limo. These are more expensive than getting a taxi. If want the cheaper public taxi, gone down a floor, and head out of the arrivals hall. Look for the two girls behind a desk. The taxis are queued up behind her, with the taxi drivers in line. State your destination and the girls will write it on a slip. You then go to taxi driver queue, where the slip is given to the driver. Say to the driver, expressway or tollway. You pay this as well as the 50 baht surcharge. Bear in mind the taxi driver may have queued a long time to get a fare, so don't resent the 50 baht, as you have to pay it. Also give a tip of say, 10, 15 or 20%, or as they say in Thailand, 'Up to you'. The mono-rail train is also open and takes you into Bangkok, but you will probably still need get a train, or taxi, to your hotel. The bus service is the cheapest way of getting into Bangkok, with the limo service the most expensive. If heading to Pattaya, a taxi will cost about THB1,500. There is the cheaper mini bus service. Look for the desk in the arrivals hall. 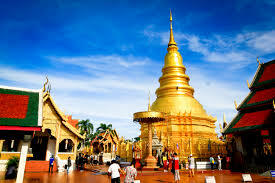 If travelling around Thailand, then click here to book more Thai driving deals.